LUXURY sports cars and supercars creator McLaren Automotive is poised to further expand its UK network of retailers with the appointment of a dealership in the New Forest. The ninth retailer in the brand’s home market will cater for customers in the south of England, including Hampshire and Dorset. The new retailer joins the existing UK network in Ascot, Birmingham, Bristol, Glasgow, Hatfield, London, Manchester and Leeds. 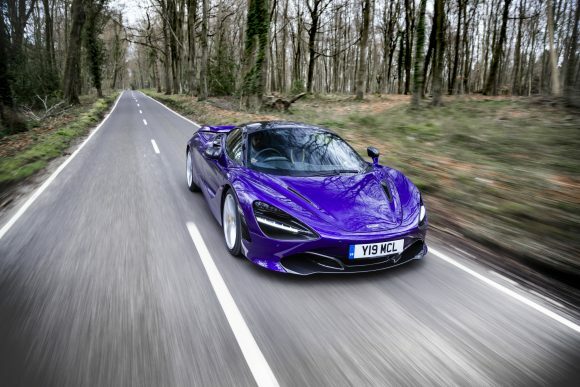 To be operated by automotive retail group Harwoods, McLaren New Forest will open at Bramshaw, Hampshire, in May. David Gilbert, managing director of McLaren Automotive Europe, said: ‘The McLaren retail network continues to expand as two of the first three cars announced under our £1.2bn Track25 plan enter production. Harwoods’ newly appointed chief executive, Archie Harwood, added: ‘I am personally very excited and proud to welcome McLaren into the Harwoods family. From the very beginning, I realised the businesses shared a winning heritage with common values, and having a love of the McLaren brand myself and its exciting history, I was keen to deliver this very personal project.